Gatwick Airport has launched a new competition with the Department for International Trade (DIT) to give local businesses the chance to attend international trade exhibitions  helping them grow internationally and support local job creation. Cargo being loaded onto an aircraft at Gatwick Airport. SMEs headquartered in Surrey, Sussex, Kent and Croydon can take part by explaining in 150 words how their business will develop by attending trade exhibitions through the Gatwick Trade Fairs webpage (www.gatwickairport.com/trademissions). Businesses in the Gatwick Diamond area are 50% more likely to export than those in other parts of the UK, according to Oxford Economics. Gatwick and the Exporting is GREAT campaign are looking to further help these SMEs to take advantage of a range of international trade opportunities which are supported by DIT and a range of trade associations. Oxford Economics also found that Gatwick was an important enabler of trade with £7.5 billion of international goods passing through Gatwick in 2017 in business that supported 113,800 UK jobs. 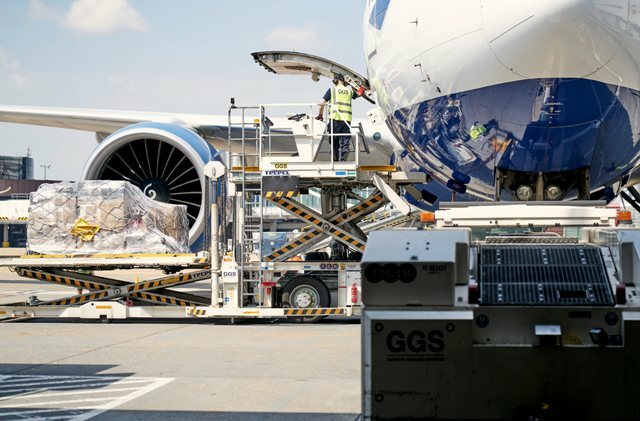 Such trade is enabled directly by the transport of cargo within the belly holds of flights – particularly through the airports 66-strong long haul route network. International Trade Secretary and President of the Board of Trade Dr Liam Fox MP said: “Businesses of all sizes should remember that there is a world beyond Europe and there will be a time beyond Brexit. This competition, which we have launched with Gatwick Airport, will help SMEs who may not have the time or resources to realise the opportunities of international expansion and exporting. Guy Stephenson, Chief Commercial Officer, Gatwick Airport said; “SMEs are an important cog in the economic ecosystem of the South East and we recognise the many challenges they face. By supporting local enterprises to attend international trade shows we hope to provide them with an important step up that will help them to develop and grow their business for the future. Local SMEs will have until midnight on 1 April 2019 to enter with the winners being announced on 29 April 2019. Competition winners will be judged by a joint committee from Gatwick and the Department for International Trade. Ben Raby, Head of the South East Regional Trade Team, Department for International Trade, said: “Although exporting can drive profitability and increase resilience, we know the process isn’t without its challenges. Setting up this competition will give growing companies the chance to take advantage of a range of international trade opportunities. The Department for International Trade offers a range of support to SMEs, with services including digital support, information on international business opportunities and one-on-one meetings with experienced International Trade Advisers (ITAs).